Sept. 25 (UPI) — The life and career of Steven Spielberg is discussed in the first trailer for HBO’s upcoming documentary on the filmmaker titled Spielberg. 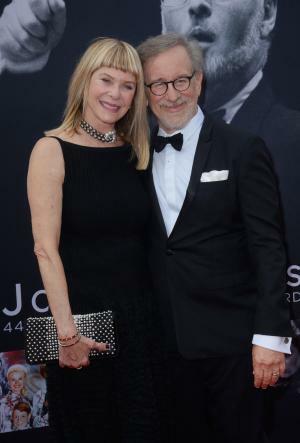 The clip, released Saturday, features Spielberg detailing his creative process along with interviews with various friends and collaborators of the director including Martin Scorsese and Leonardo DiCaprio. The film from director-producer Susan Lacy, which will premiere on HBO on Oct. 7, will also feature interviews from J.J. Abrams, Christian Bale, Drew Barrymore, Cate Blanchett, Francis Ford Coppola, Daniel Craig, Daniel Day-Lewis, Brian de Palma, Laura Dern, Richard Dreyfuss, Ralph Fiennes, Harrison Ford, David Geffen, Tom Hanks, Dustin Hoffman, Holly Hunter, Jeffrey Katzenberg, Ben Kingsley, Kathleen Kennedy, George Lucas, Liam Neeson, Oprah Winfrey and Robert Zemeckis. “Through exclusive interviews with actors, family, and the filmmaker himself, this unprecedented documentary pulls back the curtain on the remarkable career of Steven Spielberg,” reads the synopsis.